The Aria seating system with PowerMe™ Table is Australia’s first locally designed and made smart seat. An Australian furniture maker and designer is breaking new ground to embrace the smart cities movement in public places. The smart cities movement is set to transform public spaces through digital disruption, with $50 million worth of Australian projects in the works funded by the Federal Government, for starters. The race is on to develop technologies to improve the public space experience for city dwellers, and help custodians to better manage their parks and streetscapes through quantified data. Street Furniture Australia hopes to do both, via a range of smart furniture, designed and built at its Western Sydney factory. It’s a move company directors Darrel Conybeare and William Morrison say could prove “game-changing” for their business. “We’ve long been in the business of providing lasting enjoyment through our furniture, considering physical qualities such as comfort and durability. We’re now looking to add a layer of technology onto those foundations, working closely with partners experienced in research, hardware and software,” says Morrison. With more than 100 years of experience between them, Conybeare and Morrison pioneered the design and manufacture of street furniture in Australia in the eighties. They even coined the term ‘street furniture’ in the Australian market. The two founded Street Furniture Australia in 1986 to supply their architectural practice with quality home-grown furniture, which at the time they could not source. As early as 1978 they designed the Classic Plaza Seat prototype and built it in a suburban backyard, to furnish the Canberra CBD. This grew into a range of seats, benches, bin enclosures, drinking fountains, bicycle parking and more. 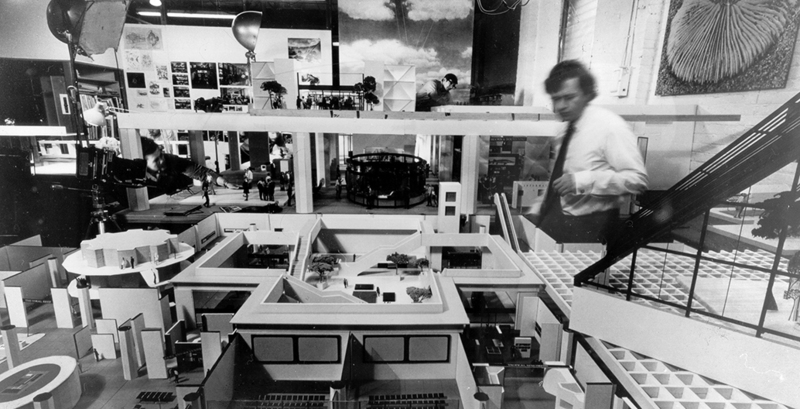 Darrel Conybeare at the Eames office, where he worked for three years. 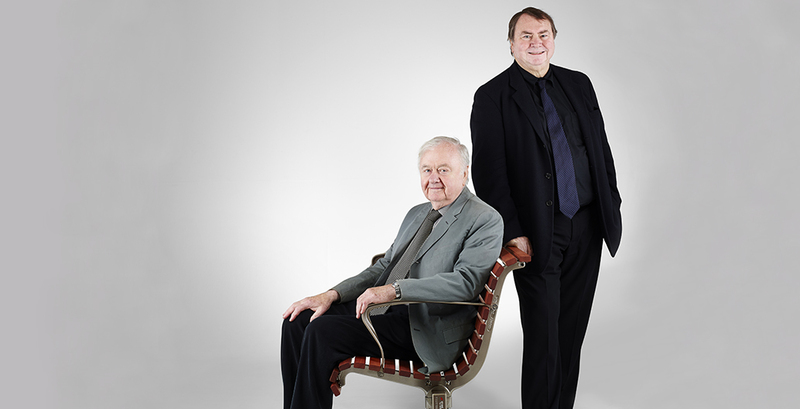 Founding Directors Darrel Conybeare and William Morrison, with their first product, the Classic Plaza Seat. The Classic Plaza Seat is still made today, and sold with more than 100 products around Australia and overseas. Today, Toyota Lean production methods allow the factory to build in high volumes and mass manufacture when required – with 800 Concourse Seats rolled out in 8 weeks for Sydney Trains. “As cities continue to grow, the demand for street furniture rises”, says Conybeare. With sixty percent of the global population projected to be housed within urban areas by 2030, according to the UN, and one in every three people set to live in cities with at least half a million inhabitants, the role of public space will change. “Cities are growing, and with more and more people moving into medium and high density housing in Central Business Districts, public places are becoming the new backyard,” Conybeare says. As a leader in a small and fragmented marketplace, with the majority of 30 competitors focusing on their local Australian states, Street Furniture Australia aims to “think like a start-up” and venture into smart technology, urban activation and additive manufacturing to ride the smart cities wave. The modular Aria system can be configured to match your site. 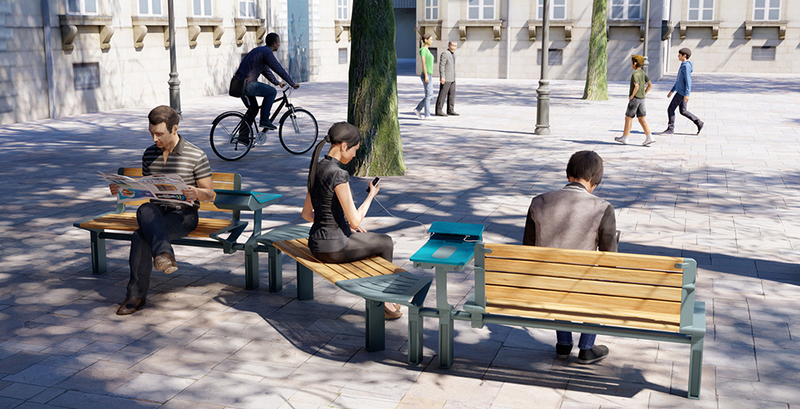 PowerMe™ Tables provide outdoor charging and public wifi. Aria Seats and Benches can be specified to connect with 45, 90 and 180 degree pieces, to create dynamic seating situations. Aria Transit Seats with PowerMe™ Tables offer commuters a more comfortable place to wait for the next connection. 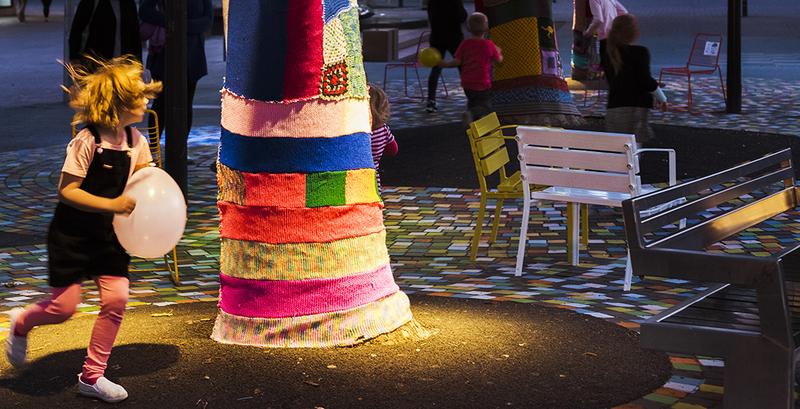 The company’s first foray into smart cities came with #BackyardExperiment, an activation of a thoroughfare in Canberra’s Garema Place for eight days in October 2016. The project successfully ‘homified’ the place with movable furniture, colour and a living lawn, and saw nearly 250 percent more people spending time instead of walking by. A new project, #WodenExperiment in Woden Town Square in partnership with the ACT Government, will build on this work and run for six months in 2018-19. 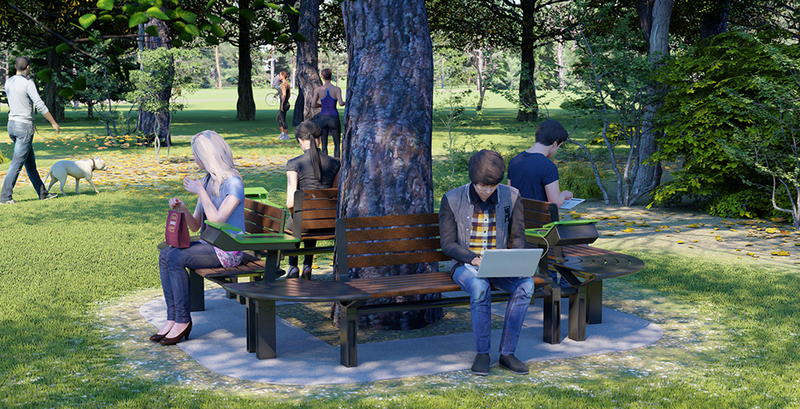 The project team hopes to improve the public space experience for the community with tailored interventions – among them a smart bench to provide free public wifi and charge your phone. 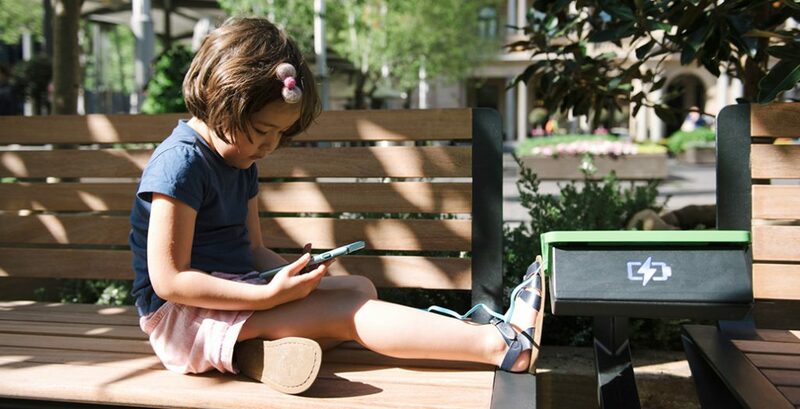 The Aria Seat, to be released in 2018, is Australia’s first smart bench, which with the PowerMe Table allows users to recharge devices wirelessly, through USB cable or power point. Using data to help custodians to efficiently manage public places will soon also be available through smart technology. 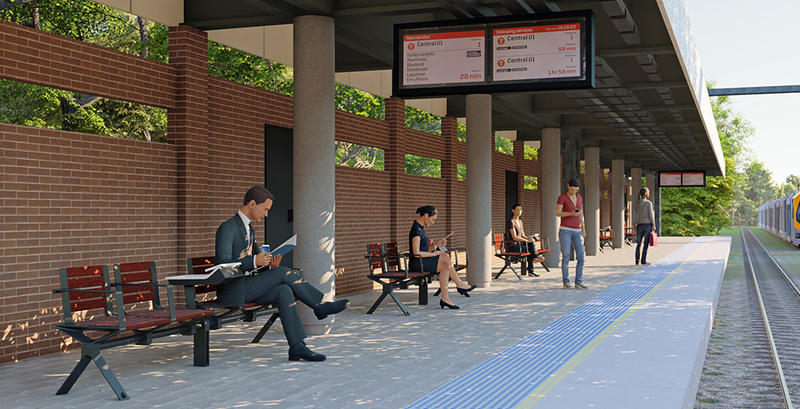 This is the subject of a new study by the University of New South Wales (UNSW) and Georges River Council, with Street Furniture Australia as industry partner, called the Smart Social Spaces Project. Smart sensors will be installed onto smart benches, bins and a multipurpose station with lights, water and power, to monitor how many people use the facilities, where, when, and for how long. UNSW will pass on the data to Georges River Council to help make decisions about where to place their furniture to best suit the community, how often to maintain it, and where more amenities may be required. #BackyardExperiment brought activity and life to an intimidating thoroughfare, even at night. The Escola eBin comes with fill monitoring for more efficient waste management, and sends fire alerts to your phone. 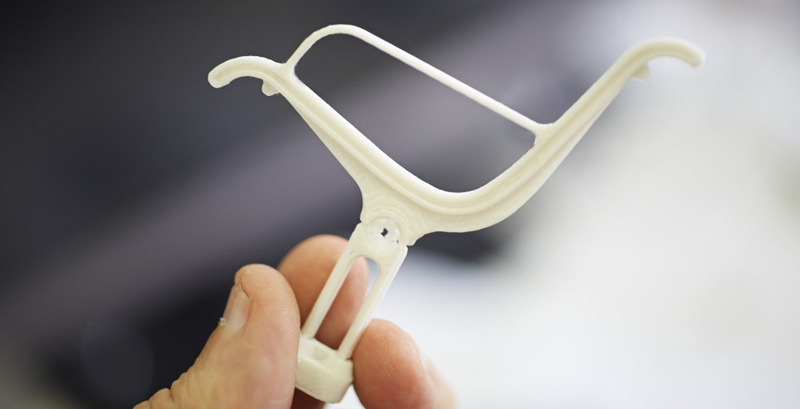 Street Furniture Australia’s inhouse design team currently uses 3D printing for prototyping concepts. 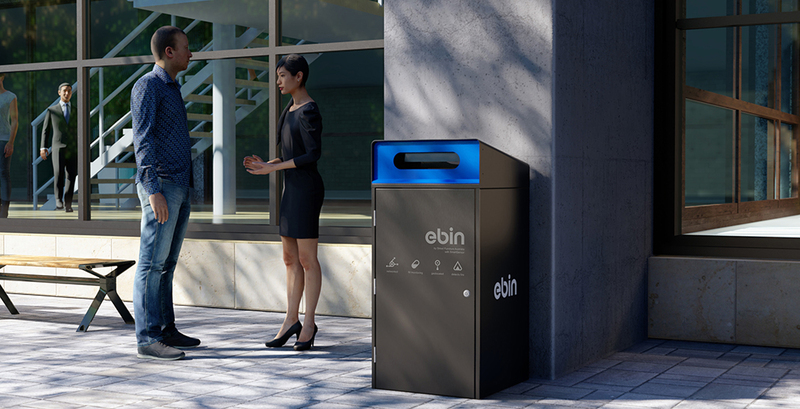 Street Furniture Australia is currently finalising the eBin with SmartSensor, which comes with an asset management app, featuring fill monitoring to show waste managers when their bins need to be emptied, and save on wasted trips. The app will be accessed via phone or desktop, show where the assets are and when they were last maintained, and the eBin will send an alert in real time if fire is detected. Yet another frontier for the business, which could open doors to localised manufacturing and effortless export, is additive manufacturing, also known as 3D metal printing. Street Furniture Australia has partnered with the University of Technology Sydney, with a TechVoucher grant from the NSW Department of Industry, to investigate additive manufacturing. To find out more about the Smart Social Spaces project, #BackyardExperiment, #WodenExperiment and for updates about smart furniture, visit the Street Furniture Australia website.